I am a realist painter. For the past 10 years my work has mostly focused on images of the urban landscape. Having lived in Minneapolis, Milwaukee, and now Chicago, I’m particularly interested in the former industrial corridors of these Midwestern cities and how they have either prevailed or changed through re-use or decay. It’s difficult to pinpoint a specific moment when I knew I wanted to be an artist. My mother is an artist, so I grew up surrounded by art and creativity as a normal activity within the home. In high school and college I was a pretty serious musician and although I initially majored in architecture and business in college, I switched to art after taking the required drawing class for the major. I think I believed that being an artist offered a kind of absolute freedom and this was something I wanted. I was born in Boulder, Colorado but grew up in both Colorado and Missouri as a child. When I think back, I have very strong associations with the landscape in both of these places. In Colorado there were always the mountains that one could look down from toward the city and plains. In Missouri, the house where I lived was surrounded by deep woods that were a constant source of mystery and a destination for exploration. In my current work I think these formative experiences translate into my tendency to seek out undefined and empty kinds of spaces. Within the city these are usually either the edges of industrial corridors or blighted spaces where nature is taking over again. I want to feel like I’m firmly within and surrounded by the city but also somewhat away from it and able to see it from a distance. I see this as a metaphor for the artist in general. In order to communicate an experience or vision that others can relate to you have to be able to be a part of a culture and experience it fully yourself, but you also need to be able to separate yourself from it in order to have perspective. I’m interested in creating work that engages with how we see our surroundings and understand them. In my recent work this interest has focused on documenting post-industrial urban landscapes. In addition to literal documentation I am also interested in trying to “re-present” these familiar kinds of landscapes in new ways. More specifically, I usually either focus on a subject that is viewed as banal or abject in an effort to find richer meaning within it, or conversely focus on a subject that has nostalgic or romantic connotations in an effort to see it more neutrally. Examples of the first kind of strategy would be paintings that focus on the hyper-observation of often unnoticed details of alleys, empty lots, garbage, and the behind and underneath spaces of structures like billboards and bridges. The selective focus of painting can breath life into and compel consideration of what we usually disregard as a “blind-spot”. Representing the more typically romanticized imagery is difficult because I’m certainly not immune to its allure. I can’t deny the emotional connections I have with images of skylines, bridges, and factory ruins, but when I’m painting them I try not to paint them in such a way that they seem romantic, I just stick with the visual facts. I see it as a kind of tension between how we want to (and have been conditioned to) perceive these kinds of images and how they really look. I choose dramatic views, often in dramatic lighting conditions, but try to paint them in such a way where I’m not giving into the heightened sentiment with the paint. When this works I think an interesting and specific kind of tension is created, when it doesn’t, I get a somewhat romantic feeling image. I’m also very interested in processes of observation, perception, and interpretation. These nuts and bolts processes of drawing or painting something that looks “real” are always challenging and I’m probably involved with trying to suggest color relationships, create depth and space, and find a believable quality of light, as much as I am with conceptual concerns. In relation to drawing and painting, processes of perception and observation are necessarily central to how I work – either from direction observation over a series of sittings, or from photographs, or from both. Working from photographs allows for an ultimately stable subject but forces a disconnection from the original inspiration. When working from direct observation, understanding the subject is more intuitive, but the instability of light and space are much more difficult to work with. Documentation is also a central and basic concern of my work. Many of the spaces I’ve painted over the last 10 years have changed drastically from the way they are depicted in my paintings. Buildings have been razed, bridges destroyed and rebuilt, fields have been turned into parks, and strip malls have replaced 19th century factories and mills. Although photography can document the buildings and objects that occupied these spaces, the selective focus of painting adds the dimension of time, and lived experience to marginal and otherwise forgotten views. The process of making a painting does start with inspiration but usually quickly turns into a prolonged effort of work. The inspiration involves finding an image or scene that I want to work with. Sometimes this initial inspiration can be something very particular and possibly ephemeral, like a certain quality of light or unusual juxtaposition of elements in the landscape. However, more often than not, it’s something that I’ve experienced many times over and over again during the routine of traveling through the city that finally makes an impression on me. Turning this memory and image into a painting that feels real but also carries some kind of psychological or conceptual charge is the challenge – and a time consuming one. I would say my process is 10% inspiration and 90% work. I’m interested and influenced by artists that work solely from direct observation (although I only do this some of the time): Within this category Rackstraw Downes, Catherine Murphy, Andrew Lenaghan, Antonio Lopez Garcia, and Chicago artist Andy Paczos come to mind. Also, I’m very influenced by artists that work within the general boundaries of realism but are able to transcend the real into a psychological, narrative, or conceptual space: With this in mind, Edward Hopper, Vija Celmins, Giorgio Morandi, Villhelm Hammershoi, and Minneapolis artist Michael Kareken are all artists that have influenced me quite a bit. Honestly, other than working as an art lecturer, I’m usually making art. In addition to my studio work, I also spend a lot of time studying figure drawing and anatomy. On a personal note, I enjoy traveling, film, and cooking with my wife who is also a painter. Michael Banning was born in Boulder, Colorado in 1966 and received his BFA from the University of Colorado, Boulder and his MFA from the Minneapolis College of Art and Design. 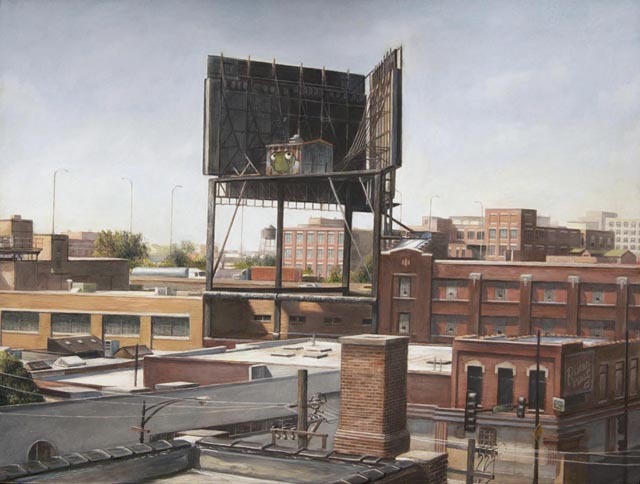 Banning’s oil paintings and drawings of contemporary American urban, industrial, and domestic landscapes have been exhibited in solo exhibitions in Denver, Minneapolis, and New York, as well as in group exhibitions at the Minnesota Marine Art Museum, The Rockford Art Museum, The Wright Museum of Art, The Kohler Art Center, The Charles Allis Museum, The South Bend Regional Museum of Art, the Walker’s Point Center for the Arts, and the Fort Wayne Museum of Art, among others. 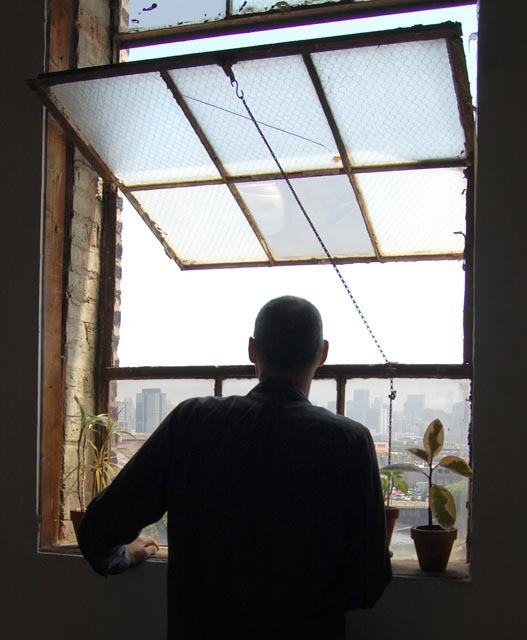 In 2014 he will be exhibiting a new series of urban landscapes at the Harold Washington Library in Chicago. Between 1995 and 2006, Banning lived and worked in Minneapolis and was the recipient of grants from the Minnesota State Arts Board and a Jerome Foundation Travel and Study Grant to study fresco painting in Detroit. 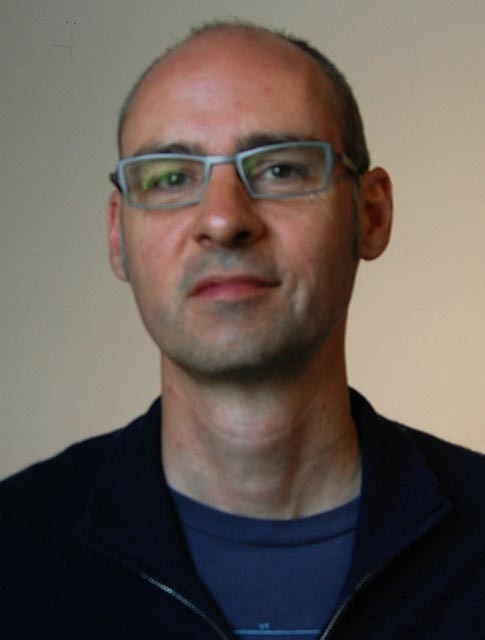 Banning has also received grants from the City of Chicago where he currently lives with his wife, artist Melanie Pankau. He teaches drawing and painting at the University of Wisconsin, Whitewater. Michael Banning is currently represented by the Groveland Gallery in Minneapolis where he has exhibited since 1998. 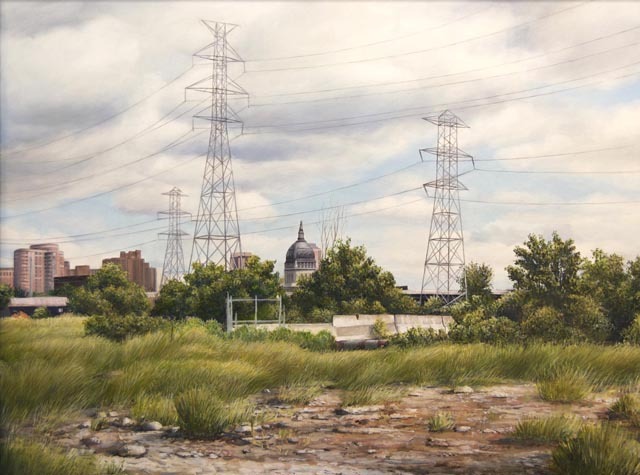 This entry was posted in Uncategorized and tagged #Minneapolis, Chicago, Painting, Realism, urban landscape. Bookmark the permalink.